Sometime last week, I made these pizza toast on homemade honey yogurt bread slices, for our lunch! It’s really a quick fix for lunch, and I suppose it would work for breakfast as well. Since it’s for the little one, I left out the favourite combination of ham + pineapple lol! I used more wholesome ingredients like white button mushrooms, cherry tomatoes etc. 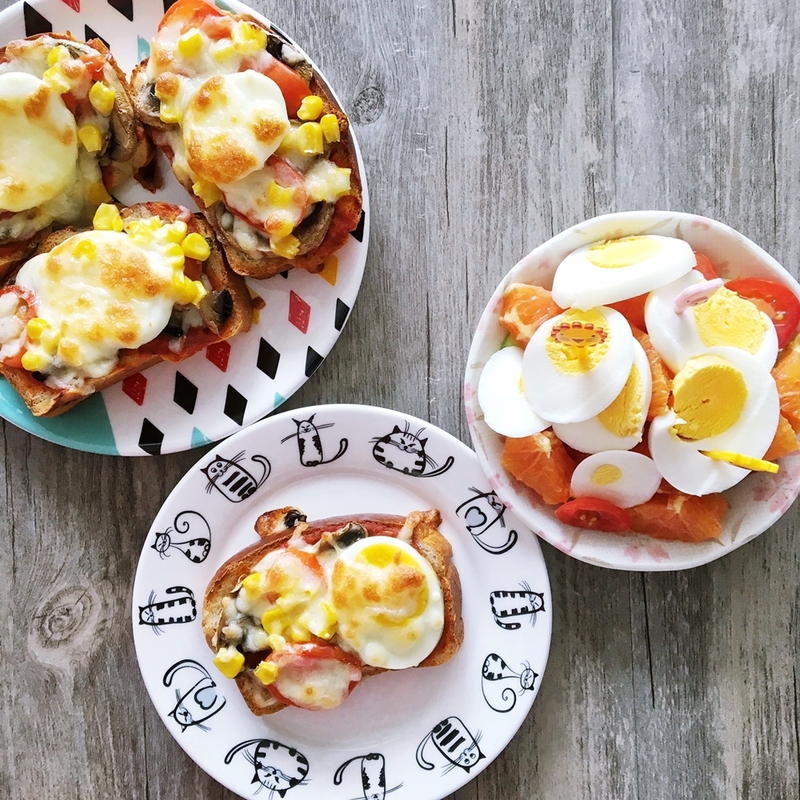 Pizza toast is great because you can really add any kind of ingredients that you like! 1. Toast the bread slices on lined baking tray in preheated oven 160C for 1 to 2 mins. 2. Remove bread from oven. Spread pasta sauce on bread slices. Add mozzarella cheese. 3. Add desired toppings, and pile on more cheese. 4. Bake in oven at 190C for about 5 mins, or until cheese melts, and turns golden brown. – If you don’t want the bread to turn too cripsy, you can skip toasting the bread in step (1), and just spread the pasta sauce directly.